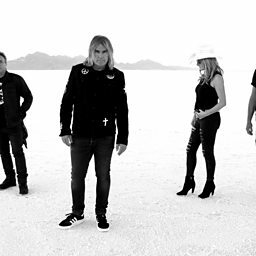 Michael Leslie "Mike" Peters MBE DL(born 25 February 1959) is a Welsh musician, best known as the lead singer of The Alarm. After the band split up in 1991, Peters wrote and released solo work, before reconstituting The Alarm in 2000. Additionally, he is co-founder of the Love Hope Strength Foundation. Between 2011 and 2013, Peters was the vocalist for Big Country as well as The Alarm.